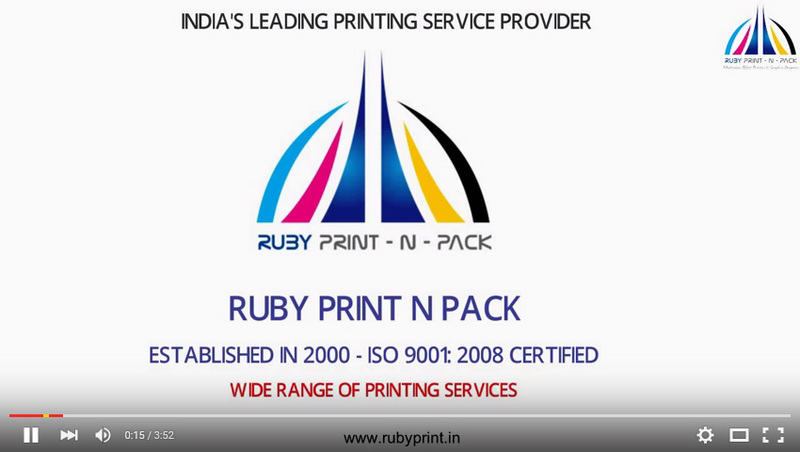 India's Premier Presentation Folder Printing Co‎mpany! Presentation folders say much about your company without the use of words. They serve as attractive jackets which showcase what your company has to offer. Customized folders can be conversation starters creating a lasting impression of your company in the minds of prospective customers. So design your presentation folder in a unique manner and heighten the 'wow' factor. It therefore makes sense to get your business folder printing needs fulfilled from a top-notch professional printing service provider. Pinpoint the target customer first: Decide the style of your folder by determining the target customer. Accordingly you can adopt a casual or a business-like look or use a minimal look with sparing details and colors. Make wise use of colors, fonts and content: Do not confuse or distract the prospective customer from your objective with the use of too many font styles, more colors etc. Combination of minimum colors creates a greater impact. Drive your point home with few words avoiding clutter of information. Quality of Paper: Glossy or matte finish of paper used enhances the look and feel of your folder. Images stand out and so does the message you want to convey. So, we make sure that superior paper quality is used for each and every client of ours. Something as simple as a presentation folder can make great value addition to your brand. We at Ruby Prints realize the importance of a presentation folder and we offer varied premium stock options in presentation folder printing in India. Cover Images: We devise cover images that best project your brand. Layout: Layout of the customized graphics and images catch the attention of the prospect. Size: In addition to the standard folder size of 9" x 12", customized folder sizes are also provided. Endless Color Options: We offer innumerable shades for choice to the customer. Personalized Attention: Each customer's requirement is given personal attention so that he can get his vision materialized on paper.Varied options such as single pocket, multi-pocket folders etc are offered for customizing presentation folders. Fast Delivery: We fulfill your presentation folder requirements within the set time-frames with no compromises on quality. Our team of designers is highly experienced and has an in-depth pre-press knowledge. They offer custom-made solutions that work the way you want them to and that is ensuring the growth of your business. So whenever you think of presentation folder, business folder or corporate folder printing, think of Ruby Prints!